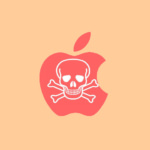 Tim Cook once said, “Android fragmentation turning devices into a toxic hellstew of vulnerabilities.” This is partially true because if you have the habit of downloading apps from other third party source, then your chances of being infected is high. To be safe, always download apps from the official Google Play download center and avoid cracking it. Works great on Android 8.0 Oreo / Android 9.0 [ Popsicle, Pancakes or Pie ] smartphones such as Samsung Galaxy, Huawei Mate, Oppo, Vivo, XiaoMi, and Nokia. Having said that, even if you only download apps from Google Play, there are still possibilities that you might be infected with virus or trojan. This is because some malware can crawl their way into your Android system by injecting itself via websites. Reason being that Android handset makers do not patch the OS after selling it for more than 2 years, thus older handset with older Android OS is vulnerable. This is why it is important to install mobile antivirus on Android devices or if you are running an outdated Android OS on your smartphone, you can root it with these 7 Best Custom ROMs Firmware For All Android Smartphones. Malware for Android: Back in May 2014, there were already over 2.6 million pieces of malware threatening Android systems. In July or August 2014, this total will break the three million mark (image source: av-test.org). Below is a complete list of simple table compiled by data taken from AV-Test on detection of a representative set of malicious apps discovered in the last 4 weeks. The number of samples used are 2,627 and the industry average for detection rate is 98.3%. Do note that ‘Free’ as in free malware protection, more often than not, the free antivirus protects and prevents the malware from infecting your system, sometimes it will charge you to remove malware. Again, nothing is free. 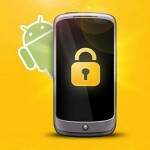 Some free android antivirus will demand you to upgrade for more protection. Based on the test done by me, below is the top 3 lightest antivirus for Android in term of processor performance. Based on the test done by me, below is the top 3 lightest antivirus for Android in term of memory usage. I am not too familiar with how Samsung Android performs over Sony Android, do they have the same security holes? 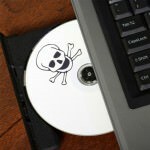 How do android malware target the android devices? Do they target a specific version of Android or do they target the manufacturer? Since Google allows the manufacturer the freedom to customize the operating system, can a malware that infects a Samsung Galaxy infects a XiaoMi smartphone too? I personally believes the core files are the same, thus a malware can hop from one device to another easily. ↓ 07 – Why Is Mobile Security Protection Important? From Battery Doctor, Clean Master to every kind of protection…i finally found Apps that Suite me BEST… LEO PRIVACY GAURD IS THE BEST AMONG THE REST. Emsisoft is one of the greatest at least on PC. I think they have an antivirus, antimalware for Android too. Which app was use for take Screen shots of Memory & Performance Test results? no app, just push the power and home button simultaneously. Thanks for doing this. I just want basic malware protection and malicious website scanning; almost all these guys pack in stuff I don’t want that bloats the package and uses a ton of memory in the background. Case in point, I had been using CM Security Lite (in combination with Web of Trust) but tried Malwarebytes. Memory use went up and Malwarebytes is using more battery than any other app. My phone has 3GB of RAM, and average memory use went from 66% to 89%. No thank you. Anyway, CM Security Lite is apparently not compatible with Android 9 (I was getting “this app was designed for an earlier version of Android” prior to switching). I emailed Cheetah regarding the CM Security Lite app but did not hear back. I guess my only option is to try Dr Web Lite. If you find any other security apps that use less memory feel free to let me know.